Rep. Seth Moulton (D-Mass.) 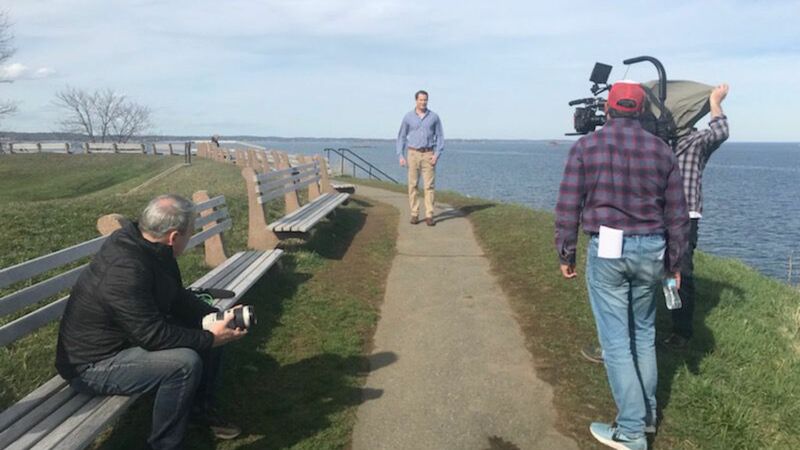 was spotted in his hometown of Marblehead, Massachusetts, taping a presidential announcement that's expected within a week, according to a source close to Moulton. The big picture: Moulton's key issues will be foreign policy, national security and defense. Moulton was also spotted taping recently in Vegas, where he held three meetings with veterans. For his congressional seat, Moulton, 40, ran on "bringing a new generation of leadership to Washington." The congressman joined the Marines after graduating from Harvard, and he led an infantry platoon in Iraq. Flashback: Joe Biden was recently spotted at his childhood home in Scranton, Pennsylvania, obviously taping a commercial for a campaign launch that's expected after Easter.